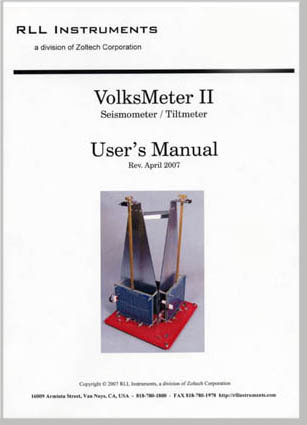 The complete VolksMeter II User's Manual is available for download here, in .pdf format. The document has been divided into sections to make individual downloads more manageable. In order to get the entire manual, you must download each of the sections. Appendix 1 discusses general seismometer theory and the specific operation of the VolksMeter II sensor.